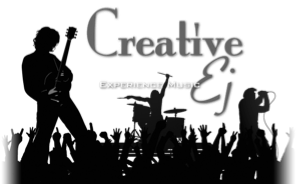 Creative Ej specializes in live music video production. We are currently producing C2G Live, a live-recorded concert show that airs weekly on Fort Wayne's NBC. We can provide up to 16 live camera shots in either HD or 4K Ultra HD. View C2G Live Promo Videos. Creative Ej offers audio recording, mixing and mastering. Our audio recording studio features an Avid Pro Tools HD system, as well live recording capabilities for concert performances. We provide access to some of the finest songwriters, musicians, vocalists and bands in the Midwest for live performances or studio recordings. We can also provide tracks remotely for your "home studio" projects.